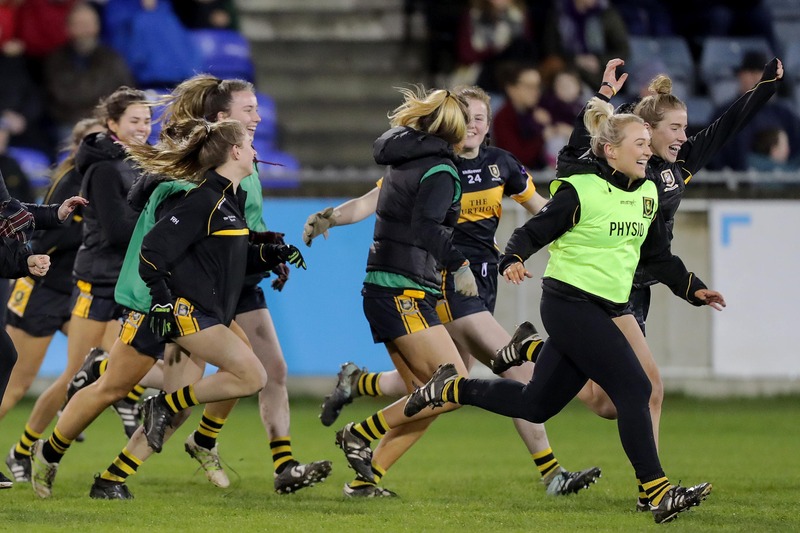 Driven on by the heartbreak of final defeats in three out of the past four seasons, Mourneabbey were finally crowned All-Ireland Ladies Senior Club Football champions with an emphatic triumph over Foxrock-Cabinteely at Parnell Park. The Cork outfit came up short in the 2014, 2015 and 2017 deciders, but with Doireann O’Sullivan (0-6) in outstanding form throughout, they overcame the challenge of the Dublin and Leinster champions in fine style in front of a big crowd. 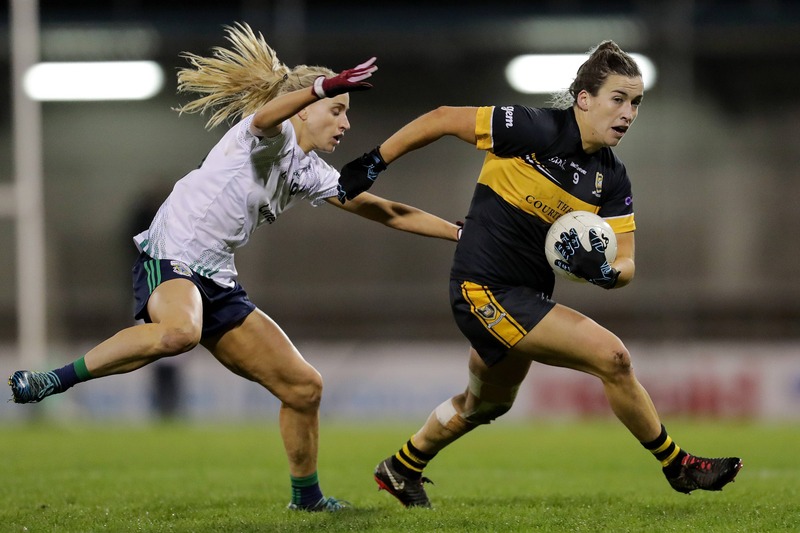 Dynamic county star O’Sullivan, who won her first TG4 All Star award a week previously, already had two points on the board for Mourneabbey when Fox-Cab corner-back Emma McDonagh was sent to the sin-bin with just five minutes gone. Shane Ronayne’s charges took full advantage of their numerical supremacy – Laura Fitzgerald (two), Doireann O’Sullivan and the lively Ellie Jack (two) all finding the target to give them a 0-8 to 0-1 advantage. Fox-Cab settled upon McDonagh’s return with points from inside forwards Hannah O’Neill and Amy Ring (free) only for Mourneabbey to respond with another avalanche of scores. After the outstanding Doireann O’Sullivan raised white flags either side of sister Ciara O’Sullivan’s first of the day, she set up Laura Fitzgerald for a palmed finish past the stranded Aisling Tarpey. While beaten 2016 Finalists Foxrock/Cabinteely responded with a superb Fiona Claffey goal of their own within a minute, TG4 Senior Players’ Player of the Year nominee and All Star Ciara O’Sullivan subsequently pointed to give Mourneabbey a commanding 1-12 to 1-3 interval lead. Although the breeze was a significant factor during the opening period, Pat Ring’s metropolitan side – who were also searching for their first title – had their work cut out on the resumption. Without breaking loose in attack, Mourneabbey always remained in control of their own destiny. Dublin star Sinead Goldrick reduced the gap with a neat point on the right-flank, but they breathed a sigh of relief when Eimear Harrington and Ciara O’Sullivan rattled the crossbar in quick succession. Harrington also fired a 44th-minute penalty past the post, though the industrious half-forward eventually opened her account to move Mourneabbey nine points clear. 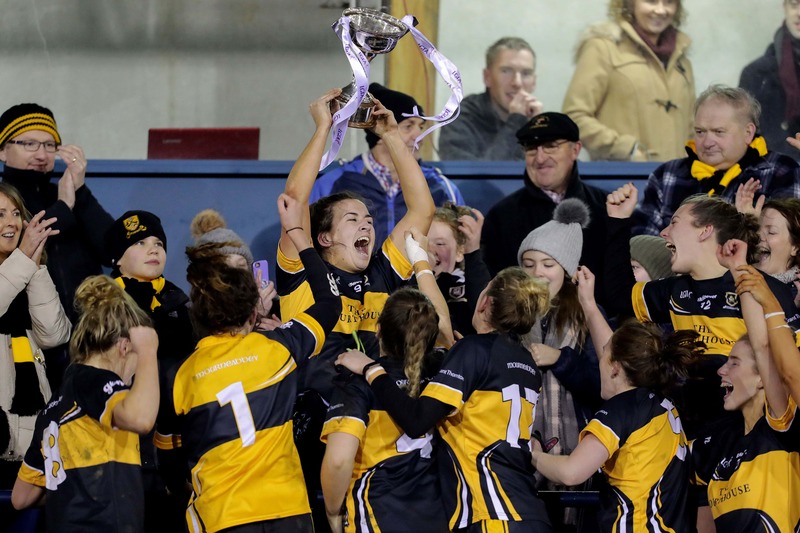 Foxrock/Cabinteely battled back with three points from skipper Amy Ring in the final-quarter, but it wasn’t enough to deny Mourneabbey a monumental triumph in north Dublin. Mourneabbey had Fox-Cab’s number in last year’s semi-final – and they were too good again on the biggest day of all to sweep away years of heartbreak. Mourneabbey: D O’Sullivan 0-6 (3f); L Fitzgerald 1-2; C O’Sullivan 0-2, E Jack 0-2; E Harrington 0-1. Foxrock-Cabinteely: A Ring 0-4 (4f); F Claffey 1-0; A Connolly 0-1 (1f), S Goldrick 0-1, H O’Neill 0-1. Mourneabbey: M O’Sullivan; E Meaney, CA Stack, A O’Sullivan; S Conroy, R O’Sullivan, K Coakley; M O’Callaghan, B O’Sullivan; E Harrington, C O’Sullivan, N O’Sullivan; E Jack, L Fitzgerald, D O’Sullivan. Subs: S O’Callaghan for C O’Sullivan (16-18, blood), S O’Callaghan for Fitzgerald (42). Foxrock-Cabinteely: A Tarpey; A Murray, S Quinn, E McDonagh; S Goldrick, N Collins, L Fusciardi; T O’Sullivan, C Ní Mhurchadh; F Claffey, A Connolly, L Nerney; A Ring, H O’Neill, C O’Riordan. Subs: R McGovern for O’Riordan (h-t), L Ahern for Nerney (40), J Egan for Murray (51), S Delahunty for Fusciardi (53), H Dennedy for Connolly (58).